The Love between Eritreans and Ethiopians will continue to exit forver! The 1998 war was started with an intention to create animosity between the people. Yet, the people of Eritrea and Ethiopia are still in love, in spite of all conspiracies plotted against these two people. The bond remains strong and unbreakable. These are the people of Ethiopia and Eritrea. So these are the people of East Africa, expect no animosity forever. If any foreign country attacks Eritrea, Ethiopians will be there to defend and vis-a-vis. Shimelba or other refugee camps are few indicators of enduring love. Nothing will break up the bond between these two people, their love will prevail and endure the hardest time of all and will continue to exist forever. Colonel Bezabih Petros was an Ethiopian pilot parachuted out from his plane and landed on Eritrean soil during Ethio-Eritrean war conducted in between 1998-2000. His whereabout is still unknown to the public. Is he still in jail or died? Let me share what I saw when he was captured, as I was on the spot while jumping off his MIG 21 jet. It was on Friday, June 6, 1998, around midday that he jumped off his burning MIG 21 jet. His jet was gun down probably by zu-23 (23-mm Twin Anti-Aircraft Artillery Gun) anti-aircraft machine at the Asmara Airport, a machine gun that the Eritrean guerilla fighters used decades ago. The situation was dangerous. Eritrea was completely unprepared for attacks from the sky. It was only GOD that protected Eritrea from the fierce attacks of Ethiopian air force. It seems that there was a shortage of radars and missiles that can be launched to gun down airspace intruders. This might be the reason that the three MIG 21 planes advanced into Eritrea's airspace undetected. Had there been radars and missiles, those MIGs could not have reached to Asmara unnoticed. On that day I saw three MIGs passing overhead and only two returned back at high speed. It was like a blink of an eye that they disappeared from us. After some seconds, the third MIG came burning with a bizarre sound. I saw a black smoke expelled off the plane. The plane was slowly falling down but still moving forward. The pilot had jumped out already and was projecting forward together with the plane. I followed the jumper; I ran towards the site that I predicted he could land. The name of the village we were standing at that moment was ADITSENAF. The sky of Aditsenaf was covered with smoke. Later, I recalled back that it was one of the MIG that passed over us moments ago. The driver started our car and he followed me, striking the horn, beeeeeeeeeeep and beeebbbbb. I just looked back and waited for them. I got into the car and we headed towards the site where the plane had crashed. It was around 3 km far from the place we were standing. By the time when we reached the site, the farmers had already arrived and captured the Pilot. They said, he tried to run but he couldn’t and he also threatened to shoot as someone tried to approach him. However, he gave up his pistol to one of the farmers as we arrived at the site. I approached and talked to him. Then, he responded that he has some injuries on his chest. I listened to him and told him to get into the car. More and more people were gathering at the spot. Though many had enraged by the situation, no one attacked him. I advised him to get in fast into the car so that we could leave, as a more enraged crowd was coming. He reminded me to collect some important equipment. He said please collect certain instruments and some money from his other jacket, 800 dollars he said. I told him, it is better for him to save his life first. 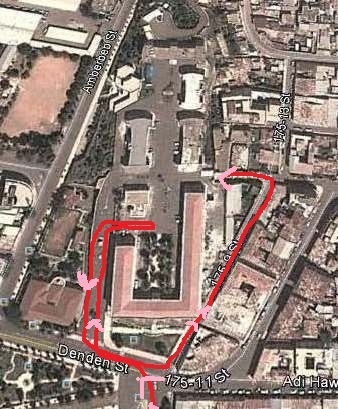 Then, he got in and we headed towards Asmara. While in the car, I did ask him why he came to attack the capital? Thinking that innocent people might be attacked by his bombs. He responded that the Eritrean air force had done many damages in Mekele. Our intention was to attack the airport, not the people, that was to hinder more attacks. It came out convincing and I just stopped asking more questions. Do you have some water? He asked. As I had a bottle of water, I passed him the bottle to drink from. At that moment, I did not know that the guy was colonel Bezabih Petros and that it was his second-time capture. By the time we approached near the main Asmara-Dbarwa road, many cars and many people had joined us and the route was over-crowded. Our car couldn’t move forward due to the high traffic. Some of the cars deliberately entered on our way to stop us and watch who the pilot was. The radio presenter of the voice of the masses (Dimitsi hafash), Mr. Asmerom…….. , ordered to stop the car and asked the pilot to come out and then he said, oh!!!!!!! “Shaleka Bezabih” you came again, what a surprise! The pilot responded confidently yes, I am colonel Bezabih, not Shaleka Bezabih. Oh, you are colonel now, responded the journalist. A cameraman took video and told him to get into the car again. It seems that Colonel Bezabih knew his fate that no problem would come as a result of his capture. I even chatted with him while in the car about other things, like the Sembel building complexes in Asmara and life in Asmara etc. It did not seem that he had fear. He was completely relaxed, except the pain he was feeling on his hand. As we emerged out to the main route, others came and wanted to take the pilot out of our car. But an Arab news presenter later became an ambassador, approached us and said no! it is ok! let you guys take him directly to the president office. Then, we headed to Asmara straight to the president office. Because of the euphoria of catching a pilot and also to run away from the cars following us, we were driving very fast. We did not stop at the traffic lights, although the red lights were on. We just passed all the traffic lights one by one at high speed. The same as ambulances do. At the same time, other cars were following us at high speed. It looked like cars were racing. Some tried many times to pass by in order to see who the pilot was. But our car was fast and the car was running at its maximum speed. By the time we reached to bar Jima, we were alone as the others couldn’t catch up due to traffic. We headed to the president office at full speed. As we arrived at the president office, the gatekeepers told us to wait just outside. After waiting for half an hour, another small red car came out and took the pilot from us. As the remnants of the plane and his jackets were at the back of our car, the driver and I got permission to get into the compound driving our Toyota pickup in. Inside, I saw General Sibhat Efrem standing just in front of the presidential office, talking to another person. They both had walky-talky radios on their hands. I thought that they were following the war situation from Asmara. I picked up the jacket of the pilot and just wondered to give it to someone. There was no one around except the General. The general said “men eyu shimika neti jacket nabti geza kedka habo” he said in Tigrigna ( Go and give it to someone in that room, pointing his hand to the other side of the compound). I walked to the other side and gave it to someone. They told us to get out of the compound and wait for them outside, by the side of gual ankere (the singer) boutique. Later, two video men came out and took the video of the car from all sides, as if they were going to digitize and prepare a 3D image of the car. Then they told us to drive to forto Radio and TV station, where we had invited for lunch and then interviewed by the local journalists. That was how the moment passed when Colonel Bezabih Petros was captured. I don’t know what happened to him after I left the spot. Was he the one who supposed to come to attack the Asmara airport or the junior pilots? The probable answer is the junior pilots. Then why he came to attack as he was not supposed to come as a renowned pilot in the air force. Imagine the old famous generals such as General Fanta Belay or General Ameha Desta flying to attack enemies, when there are many other junior pilots. This couldn't have happened. Bezabih was one of the top pilots available at his moment and Ethiopia couldn’t afford to send him to a simple mission like this. He could have been the last resource to fly and attack Asmara. His MIG struck down because he was flying lower than the other two planes. Why he flew low? 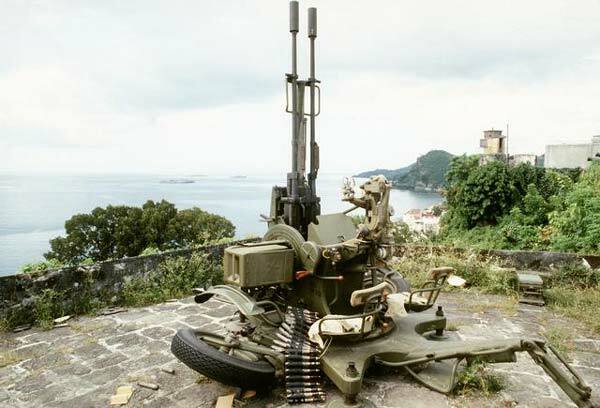 He knew that Eritrean zu-23 was waiting for him at the bottom. He even did not make any significant attacks on the airport, though he lowered to attack. was that deliberate? 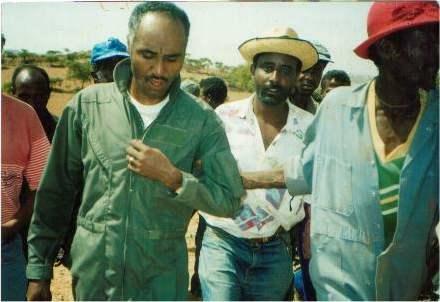 After his capture in 1998, the president in his interviews had explained colonel Bezabih Petros as a greedy man that the gov of Eritrea was studying and following him until his capture. This seems to me a message sent to confuse people and keep the secret intact. Otherwise, he was probably one of those higher officials and generals hired by the government of Eritrea prior to the start of the war in 1998. Let me add some more ideas so that we can see things from a different perspective. The imprisonment of Brigadier General Habtezion Hadgu, the former commander of Eritrean Air Force may have also issues related to colonel Bezabih and other Ethiopian pilots. The imprisonment of another air force member, who used to work in Ethiopian air force for more than 15 years during the Derg era and later, as an Eritrean, joined Eritrean air force as a senior ground technician, his imprisonment may have relation with this complex issue as well. He was in Ethiopia when the 1998 war broke out, just simply to visit family and friends. After one year of hiding in Ethiopia from Woyane, he deported to Asmara unrecognized. 3 days later, he disappeared. He was imprisoned in a maximum security prison for three years. After studying him for three years, he was released. Why Air force members imprisoned now and then? I believe these are operations to keep the secret under. Furthermore, there are other air force members suspected and imprisoned just to keep the secret away. Isayas is insane when it comes to both Eritrean or Ethiopian Air force members. Things are more complex than we may think. Colonel Bezabih might be kept in prison simply to keep the secret. It is also probable that he might have been killed already. Isayas has no mercy at all. All his life was full of mischief, lies, and killings. What makes us think Bezabih Petros would be spared if it is a must. We have to consider a different way of looking at things and make an effort to link up pieces to get the impression that Bezabih might be one of the guys who used to be working for Eritrea. If he is not killed, it means he kept away for another future manipulation, Just to send a message that it is not us that we hate the Ethiopians but the Woyane. Then another cycle of manipulation will continue. It is the politics of East Africa. It does not mean that Woyane is good but it means things are complex out there and a paradigm shift in our thinking is necessary to see our problems solved.